Investing in ASEAN Countries – It is Profitable or not? What are ASEAN countries? The Association of Southeast Asian Nations, also known as ASEAN, consisting of ten Southeast Asian states, is an intergovernmental and economic organization primarily aims to promote growth and stability within the economy of its members. ASEAN was founded about fifty years ago in 1967 by five of the Southeast Asian countries, Philippines, Indonesia, Malaysia, Singapore and Thailand namely. The goal was to advocate stability in the region while also work on economic growth. Brunei, Cambodia, Laos, Myanmar and Vietnam were later on added to the organization. 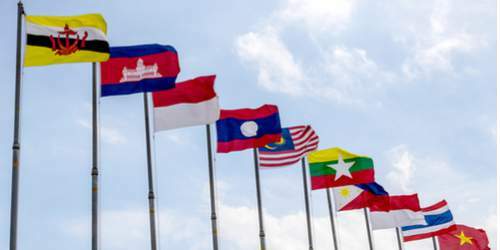 Economically, how important are the ASEAN countries? The ASEAN economy together is the seventh largest economy globally with a combined GDP of 2.6 Trillion Dollars in 2014. The combined ASEAN countries possess the third largest workforce in the planet. In addition to that, they also consist of roughly 640 million people which means it is around 9% of the world’s population. Does Investing In ASEAN Countries Have Potential? Potent Market - The ASEAN’s market comprises 9% of the planet’s total population and its combined income per capita has only been rising in the last 6 years and as of 2011 it has come to an average of $3,600. Labor Force - The ASEAN countries’ workforce is one of the aspects that attract investors. It consists of efficient and productive human resources with highly skilled professionals. The ASEAN labor force is placed at a 70% participation rate. Positive Investment Practices - ASEAN is devoted to giving an excellent investment environment for investors. ASEAN’s initiative focuses on a captivating investment framework that attract investors and help those who are looking to do business in the region. Economic Growth - The states that are members of the ASEAN have been pursuing and participating macroeconomic policies that helped the economic growth of the region. The region has managed to sustain a 5.3% GDP growth since 2006. From a US$1.8 trillion in 2010, it’s GDP rose to about US$2.2 trillion in 2011.